Day 53: Crazy hat day! Today's 'Fun Friday' theme was Crazy Hat Day. 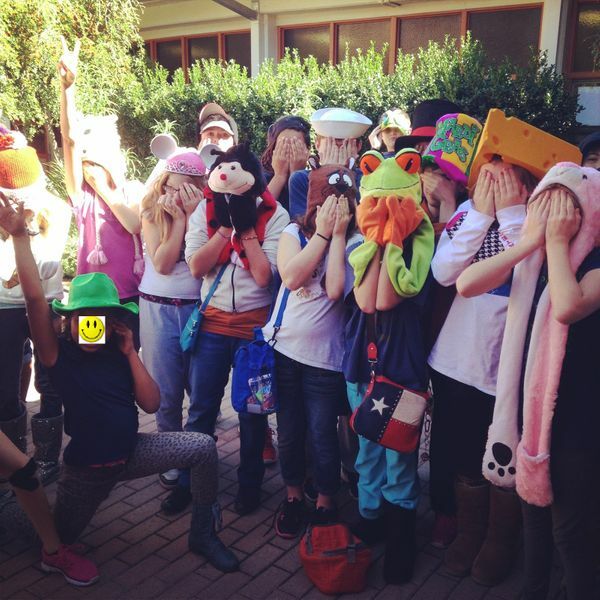 I don't think I can add much here, other than this is just part of the 6th grade class that wore great hats. Thanks to all the kids that dressed up!